We all have those days, you know where you hit the snooze buttons a few times before getting up. Only to realize that you are now 20minutes behind on getting ready. So this post is for you ladies, for those moments when you need a quick and easy Lazy hairstyle hack to keep you looking beautiful. 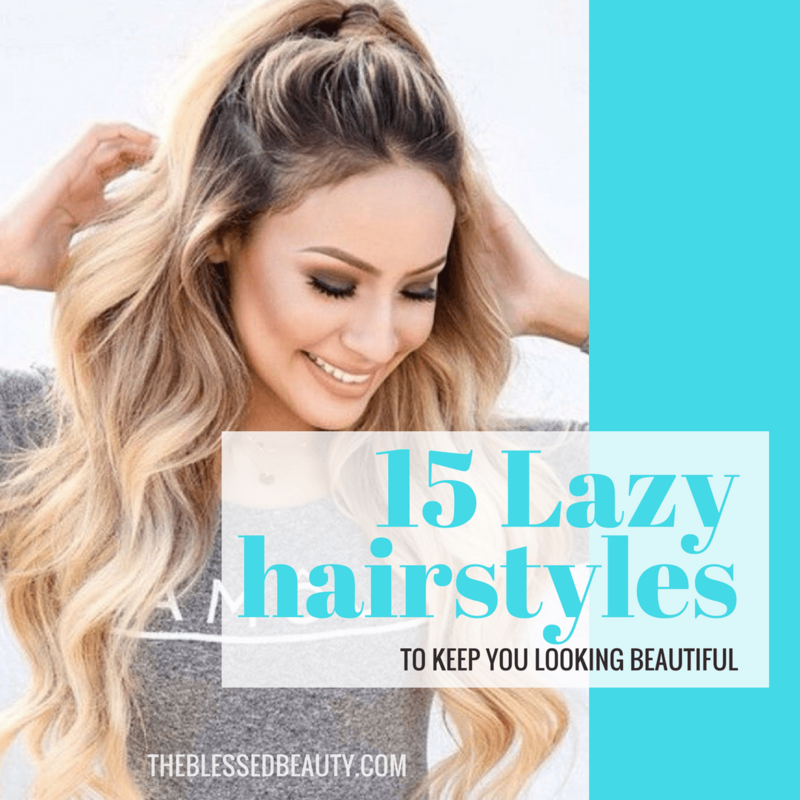 I have compiled 15 easy and quick hairstyles for you to do if you are in a rush or just feeling lazy. Check out these easy ‘dos that you can do in a flash in the morning — even after you’ve hit snooze six times. Tip: If your hair is really dirty and/or oily in the morning and you need to texturize it to make sure your up-do holds steady, use a dry shampoo. Dry shampoos are great, because they will absorb the oils and build-up from your hair without drying it out too much. It will freshen your hair up and can even add some moisture and shine to your hair, depending on what product you use. Bonus tip: if you do have a few extra minutes to spend on your hair, you can use dry shampoo to ad volume to it. 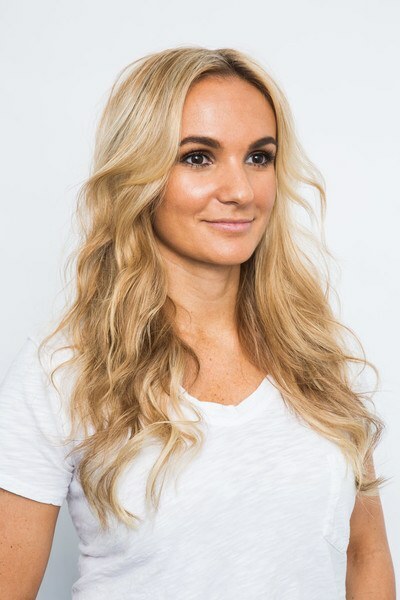 Simply dampen your hair a little, then blow dry it, and the best way is to blow dry your hair upside down and that will give it that extra oomph for volume. 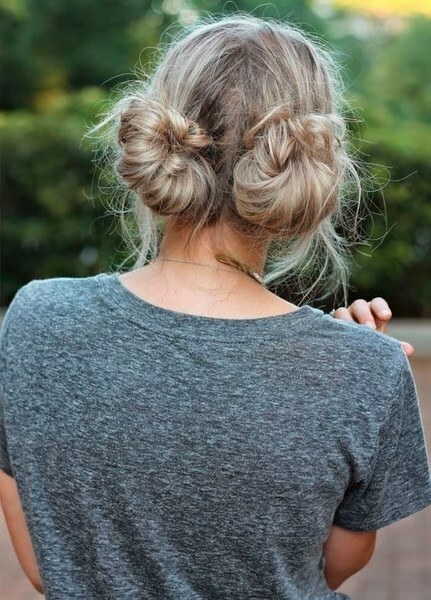 Tip: A half-topknot is a great up-do even for short hair! 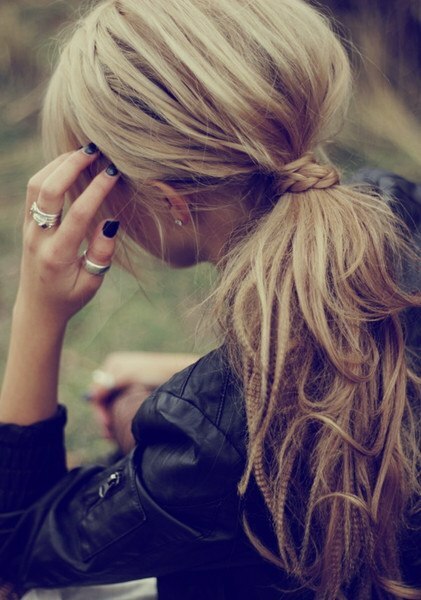 If you have some length to your hair, even if it is above your shoulders, you, too, will be able to master this hairstyle. 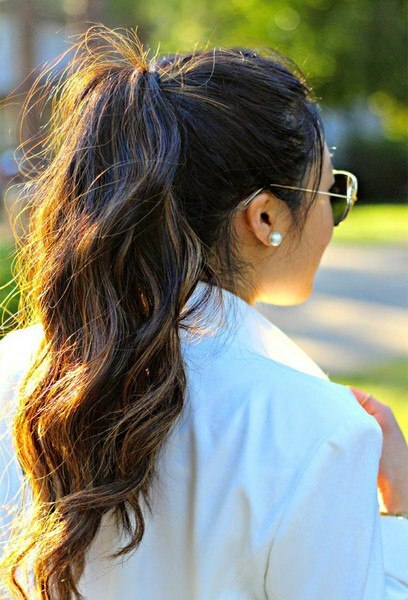 Here is some great news, for this up-do, you don’t need dry shampoo. 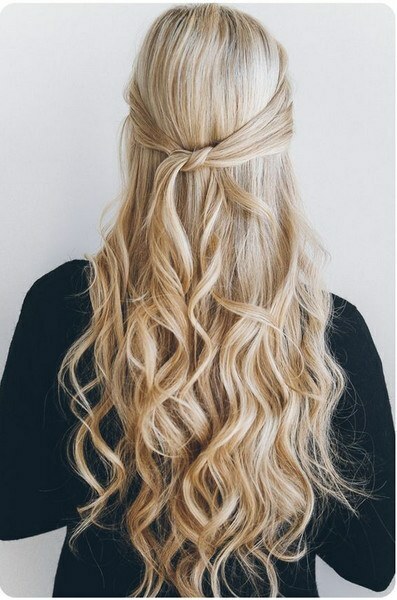 While it’s great for giving hair some volume and texture, if you literally only have a few minutes to spare and your hair is short, you can pull this off quickly and easily. 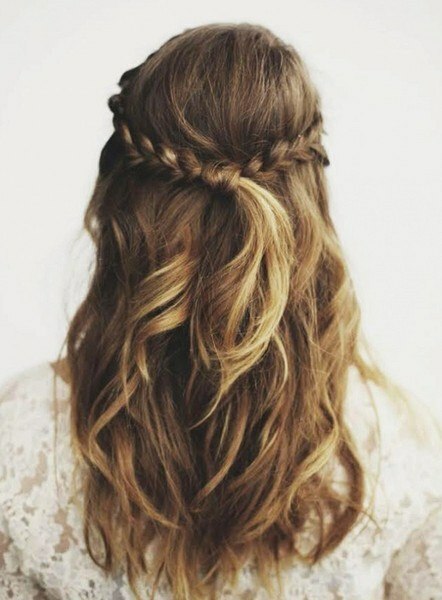 Simply gather your hair and divide your hair in two sections on either side of your crown. Now tug your hair between the two pats you have created. What you are trying to do at this point, is to pull your hair into a high ponytail. 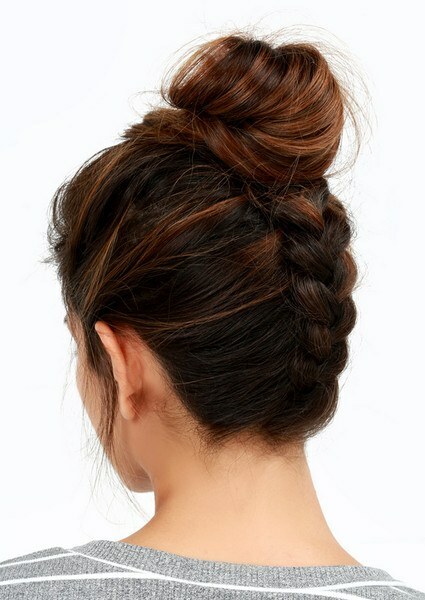 Do not tug the hair all the way through, as you want to create that high bun in the half-topknot. Voila, you’ve got a beautiful half-topknot! Tip: A word about bobby pins. You probably have used them in the past, what woman (and some men) have not? However, did you know that many people actually don’t use them correctly? For example, not all people are aware that the rigged side goes towards your scalp, but it does. The grooved side has to go down in order to keep your hair in place. Then there are common mistakes people make with bobby pins. One of the most common ones is to try to cram too much hair into one bobby pin. Do that and you’ll have a loose ‘do in no time. Try instead to section your hair off in even section, twist the hair in that section and insert your bobby pin through it. You may want to top it off with a little hairspray, to give make absolutely sure that the section doesn’t unravel in a few hours. Lastly, not all bobby pins are created equal. If you are a fine-haired gal, you need to make sure that you have the type of bobby pins that are hard to pry apart. If you are a thick-haired lass, then you can probably get away with bobby pins that are a little looser. The point here is, make sure you get the best bobby pin for your hair type. Tip: You literally have three minutes to get your updo on. What is the first thing you want to do? Well it isn’t to panic, trust me, you can accomplish your updo and grab a granola bar and still make it out the door in time for that office meeting. 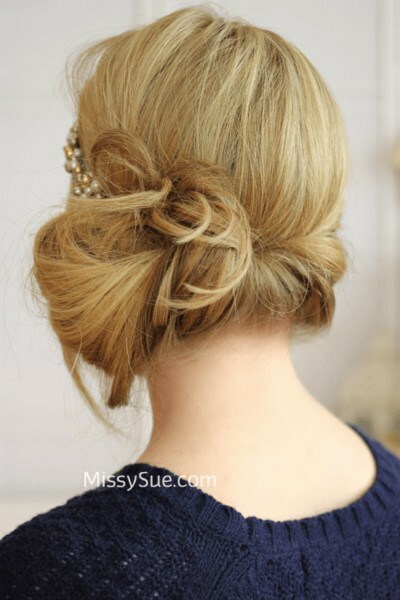 Here is a tip for making sure those really quick updos look great and last for a good, long while. Use a texturizing spray to prep the hair. Right before you start putting your hair into a ponytail or twisting your hair, spritz some texturizing spray all over your head. Don’t use too much in one section and make sure it’s evenly distributed. My rule with texturizing spray is less is more, unless you have a good head of hair and need that little extra.